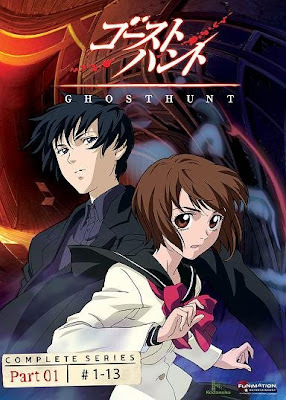 At last, Ghost Hunt (2006) has been announced for a DVD release in the UK. One of the few anime series of recent years that I've enjoyed watching through to the end, it gets released on May 4th, by Manga DVD. A group of exorcists and psychics from all different religions and beliefs, team together to research a string of hauntings. 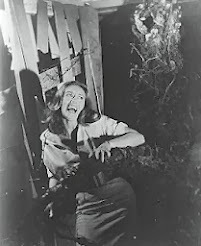 More about Ghost Hunt here. 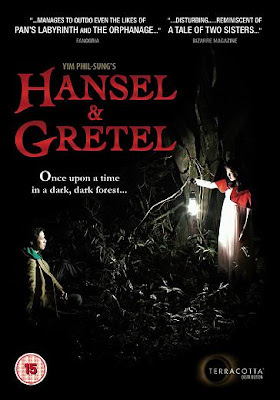 I recently reviewed the beautiful South Korean dark fairytale redux, Hansel & Gretel (2007). The UK gets its own DVD release on April 6th from Terracotta Distribution. See my review here. 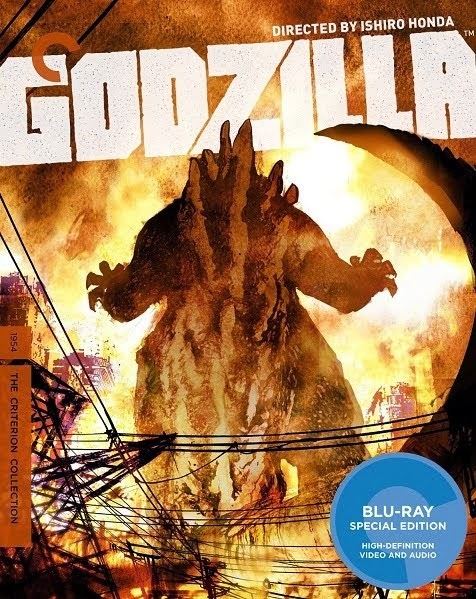 Good news for March 23rd, one of my oldest Not On DVD wishlist movies is finally getting released, on Metrodome DVD. 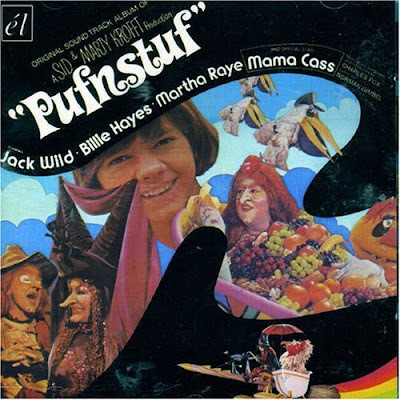 Pufnstuf is the 1970 movie that launched the TV series, and boasts a couple of songs from Mama Cass. This is easily more enjoyable and adult-friendly than the series, which has been out on DVD for years. I talked about the movie here in 2005! No cover art yet, that's the CD soundtrack cover. I'm in the middle of reviewing my favourite Frank Henenlotter movies at the moment. The director of the outrageous Basket Case trilogy has a new movie out on DVD on March 2nd, from Revolver Entertainment. I'm looking forward to seeing this after I've revisited Frankenhooker ("she'll cost you an arm and a leg") and Brain Damage. 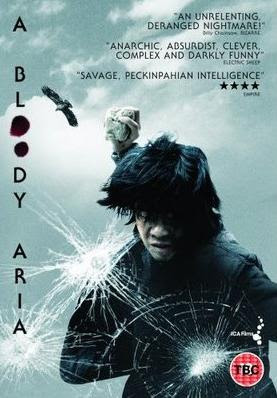 Out on DVD in the UK this week, is another South Korean film concerned with the nature of violence. A merciless drama in the vein of Straw Dogs and Last House on the Left. As a music professor drives a young student down a long dead-end road, his plans to seduce her run aground as he fights for survival with a gang of unhinged outlaws. Originally a Japanese series, this was dubbed into English and given a new theme tune by Queen's Brian May. It landed in the UK in 1982 and has remained an obscure cult item until now! The English version of the series has finally been released in one DVD boxset. This programme was Britain's first taste of Japanese giant transforming robots. 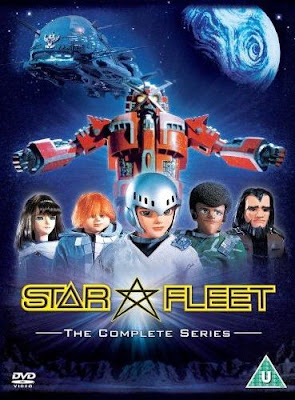 Unusually, it series isn't an anime, the characters are played by Terrahawks-style puppets, with extensive modelwork for the duelling spaceships. Star Fleet has its followers, but I found the puppets less likeable than Thunderbirds and the modelwork far less careful - no slow-motion is used to disguise the tiny scale of the models, and fire, dust and smoke all completely give away the size. But as a TV show, this was more rewarding than the many Star Wars derived movies of the time. 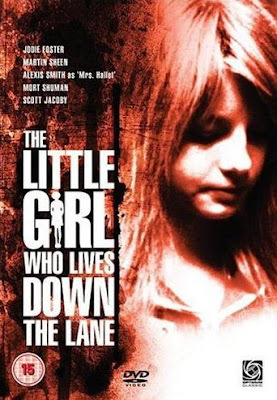 Gently weird thriller starring a 14-year old Jodie Foster. She plays a young teenager trying to live on her own, despite the law. 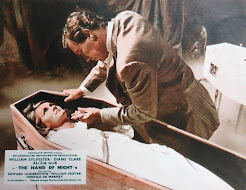 Her problems multiply as she attracts the attentions of a predatory psychotic, played by Martin Sheen, when he was still being typecast as villains. This had a good run on double-bills in UK cinemas, following on from Foster's hits with Bugsy Malone, Freaky Friday and Taxi Driver. Savage satire on Britain's upper classes, depicting the lord of the manor as completely insane. 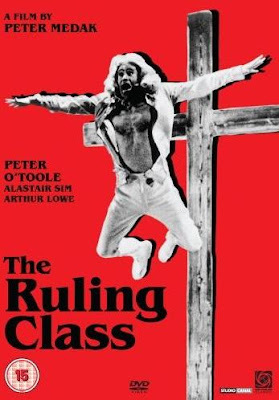 Peter O' Toole plays the aristocrat who thinks he's Christ and enjoys being crucifed every dinnertime. Dark, eccentric, funny and very long, it warranted inclusion in The Criterion Collection in the US. Peter Medak later directed wheelchair horror movie The Changeling (1980). A host of British character actors co-star, notably Arthur Lowe (if....), Carolyn Seymour (Survivors, 1975) and a barnstorming cameo from Nigel Green (The Ipcress File) in one of his final roles. A rare underground classic has made its DVD debut in the UK. This explicitly sexual psycho thriller, shot in black and white, features a realistically seedy nightclub full of suspicious low-lifes and plagued by murder. Among the cast are Broadway favourite Elaine Stritch, Daniel J. Travanti (Captain Furillo from Hill Street Blues) and Bruce Glover (Diamonds Are Forever). Sultry leading man Sal Mineo previously appeared alongside James Dean in Rebel Without A Cause, but rarely got roles as good. This is one of his most interesting, daring even, certainly compared to the standard heroics of Krakatoa - East of Java or completely hidden in monkey make-up in Escape from the Planet of the Apes. 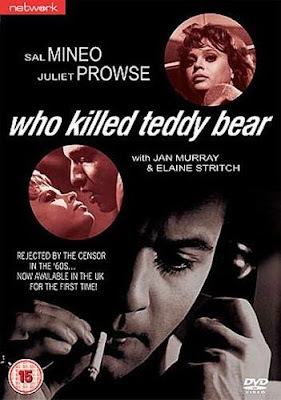 I love WHO KILLED TEDDY BEAR? Thanks for the info that it is now out on DVD. I'm snapping it up right away. I'd completely forgotten about The Ruling Class! Wonderful movie if you're a rebellious weirdo teenager (and I was). And I just saw Little Girl Who... for the first time about two months ago. Lovely film, enjoyed it a lot. Thanks for everything you do here - this is a tremendous amount of work and a wonderful resource! Very kind of you to say so - it's the kind of work that I enjoy!